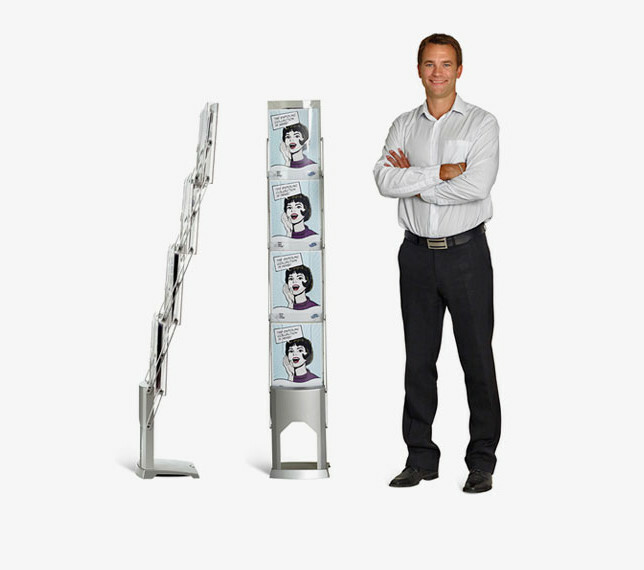 Lightweight and portable, literature stands ensure any tradeshow booth has a no-clutter, professional look. 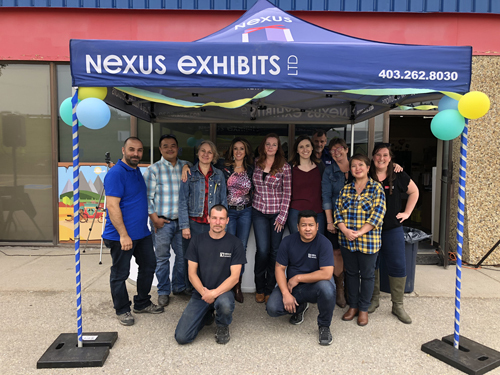 Guests to your booth can take what they are interested in, so that you can focus on conversations and relationships. 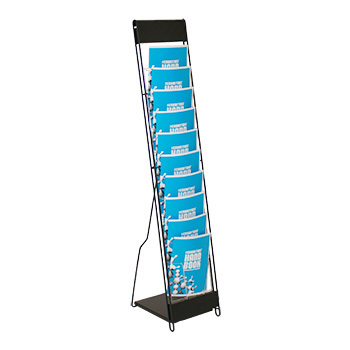 This literature stand comes with a bag and holds 8.5’ W x 11.5’ H brochures. (0.62’ deep). 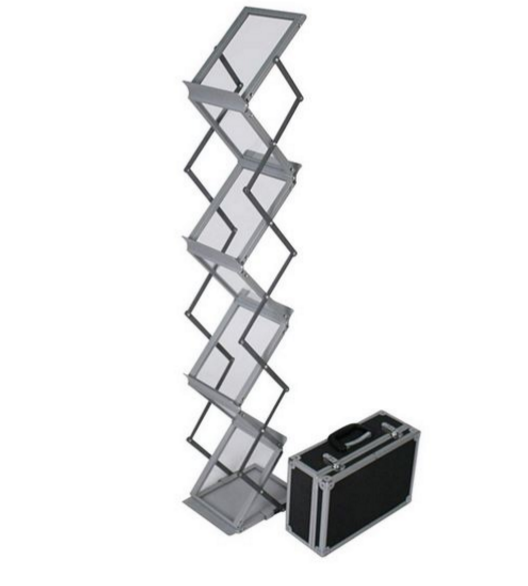 This stand is available in black only with 10 pockets.